LEUCHTTURM1917 and Whitelines Link®. The Academy pads with a very special ruling. The background is grey, the lines are white. 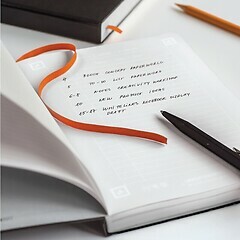 Handwritten notes can be digitalised using a smartphone app with automatic capture. They can then be shared with colleagues and friends via various platforms.